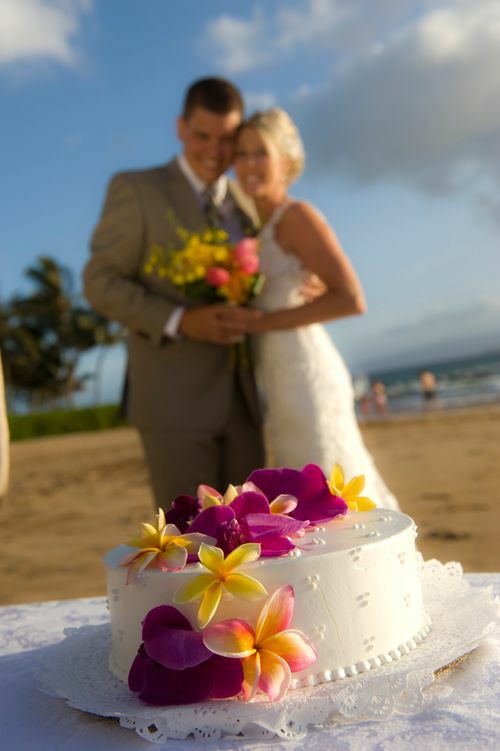 Delicious cakes created by our world class local Maui pastry chefs are available in a variety of flavors and are usually decorated with fresh flowers. Custom cake orders are always welcomed. 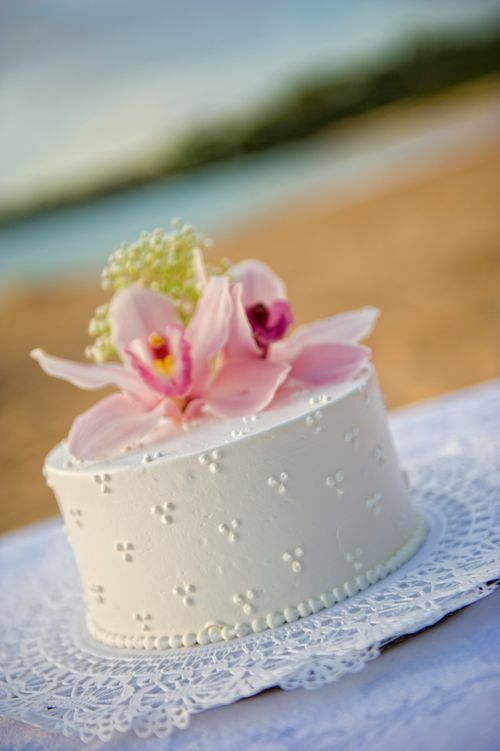 If you want something specific, cake photos are necessary when providing you with a quote to ensure that you receive exactly what you want. 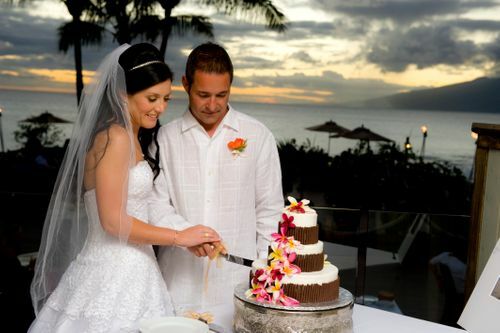 Marry me Maui will cut and serve the cake to your guests at the beach. 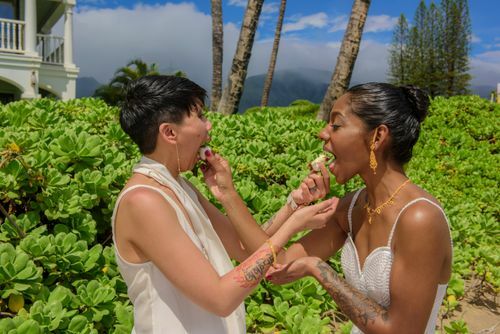 Hawaii State Law prohibits the consumption of alcoholic beverages on state beaches. Sparkling cider may be served for an additional fee.